It's 02:02 in Danville, USA right now. Petit Jean River Valley A webcam in Danville, Arkansas - camera location: Petit Jean River Valley. Russellville, Arkansas: Skyline Weater Station, 21.4 miles away. Waldron, Arkansas: Waldron High School, 40.9 miles away. 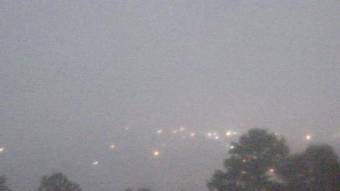 Hot Springs, Arkansas: Weathercam, 42.6 miles away. Hot Springs, Arkansas: Mallard Computer-Melia Gardens , 42.6 miles away. Hot Springs, Arkansas: Hot Springs High School, 42.6 miles away. Hot Springs, Arkansas: Lakeside School District 9, 42.6 miles away. Alma, Arkansas: Alma Intermediate, 55.8 miles away. Little Rock, Arkansas: Plaza West Building, 67.1 miles away.